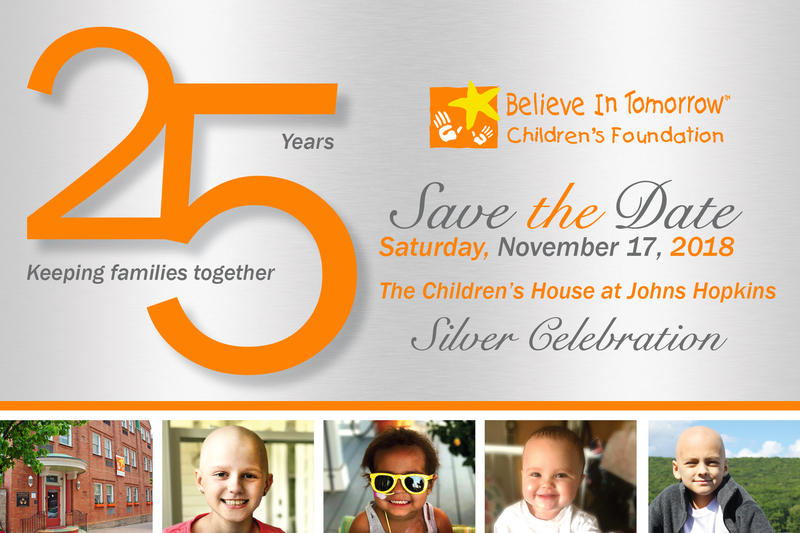 We appreciate your commitment to Believe In Tomorrow Children’s Foundation and The Children’s House at Johns Hopkins. Whether you are a family, donor or volunteer your experiences with us are important. By completing the form below we will be able to share timely information and updates with you directly. Please take a moment to complete the form below, if you need assistance, please contact us at 410-744-1032. Please take a moment to share how The Children's House at Johns Hopkins impacted you and your family. Please share why you choose to donate to the Children's House at Johns Hopkins. Please share why you choose to volunteer the Children's House at Johns Hopkins and how it impacted your life.